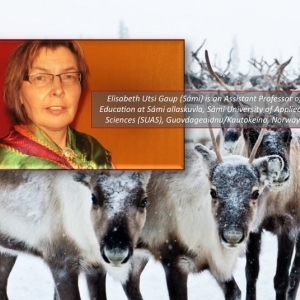 Dr. Elisabeth Utsi Gaup (Sámi), from Sámi alleskuvla, Sámi University of Applied Sciences, Kautokeino, Norway, and Jill Falcon Mackin (Anishinaabe: Ojibwe), doctoral candidate MSU Department of History and Philosophy, will discuss Indigenous land-based education and their shared work as part of the World Indigenous Nations Higher Education Consortium (WINHEC.) 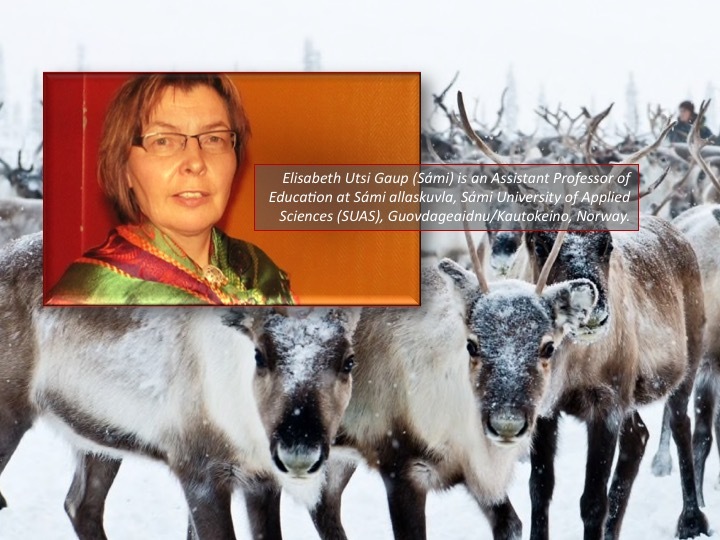 Dr. Utsi Gaup lives close to the land and is from a reindeer herding family. Jill Mackin studies Indigenous food systems and land practices. Both represent their respective universities in the work of indigenizing higher education and the process of accreditation through WINHEC.